Occasionally i avert my gaze from the laptop and wonder what the hell did i do before the Internet came along? I glean a huge amount of information about music, art, places, people and the world in general from it and mainly rely on email/social networking sites for contact with friends who are abroad. I guess what i really love about it is the fact that i am exposed to things that would have been hidden or esoteric otherwise. Case in point is the site Kidd of Speed/Ghost town. 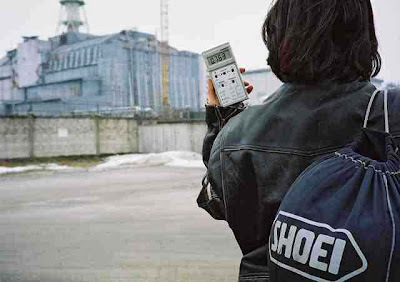 It is a site set up by a biker called 'Elena' and feature photographs from her journeys around the Chernobyl area. The Chernobyl incident was a nuclear reactor accident in the nuclear power plant based near Pripyat in the USSR. It occurred in April 1986 and was the worst nuclear plant accident in history. It remains the only incident to reach a 7 on the International Nuclear Event Scale. As a result of this many people died directly (such as plant employees and firefighters) and countless others have died from the effects of radiation.There are no concrete numbers as to how many died. There is now a zone of exclusion which spans 30km around the site of the disaster. 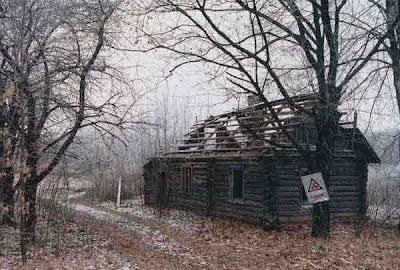 Elena rode her bike through abandoned towns and houses in the area.Parts of the area remain untouched, frozen in time. 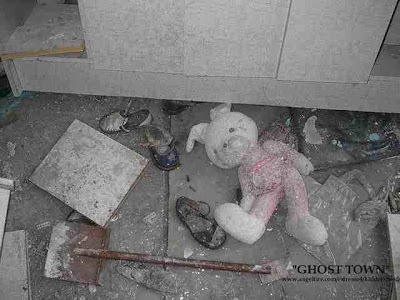 Her photographs show houses, an old Ferris wheel, the power plant itself, Toys strewn on a playground and personal belongings abandoned in the panic that followed the accident. Cars and Trucks used by clean up workers sit rusting in the streets. 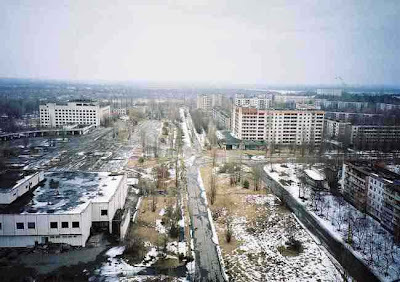 Chernobyl is often over looked and people don't realise that it still effects so many lives. I worked on the Chernobyl Children's Project for a few years when I was a teenager where I looked after four young girls who visited Ireland during the Project summer months. It was heart breaking to see what these 9/10 year olds were going through. I took one of the girls to the dentist (which was a big part of each years visits) and she had 9 teeth extracted over 3 weeks. It was heartbreaking to see her in such pain and yet this was the norm. The project is still running together with a number of other similar schemes which take young children away from the poverty and devastation for the summer months and they are always looking for families and carers to help out. Fair play Lottie.I think i'd find it heartbreaking to look after those kids and then have to say good bye to them.I would want to keep them here. It's scary how something like Chernobyl has permeated the minds of most in Europe but the devestating effects it has had on people are generally forgotten on a day to day basis.